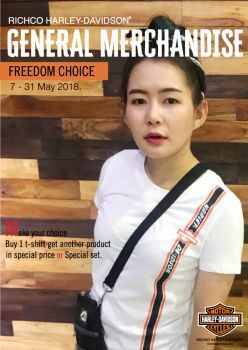 - Buy 1 t-shirt get another product in special price. - Special set for t-shirt cap and bag. Now to 31 May 2018.